Since the December 5th signing (by Utah) of the 21st Amendment, all federal restrictions on alcohol purchase, transport and sale had been lifted. But this meant that it was now up to the states to decide what their own liquor laws would look like. Some states decided to stick with statewide Prohibition; Mississippi, the last holdout, didn’t vote for booze until 1966, and some counties are still dry. Michigan, as the very first state to vote for National Repeal back in April of 1933, knew from the start that it would allow alcohol statewide. It just took us some time to sort out what the new rules would be. Hence Comstock’s befuddlement on the night of December 16th: everyone knew the new rules would be rolled out, but no one knew exactly when that would happen. Fortunately, the governor quickly penned his signature, was handed a drink, and raised a toast to the new age of state liquor control (sources are silent on whether it was his first of the night). And the city erupted in…very mild rejoicing. So what exactly was made legal in this bill? A few things. First, consumers could legally purchase alcohol again in Michigan without a doctor’s prescription. So far, though, only liquor by the glass was okay; although the state had given the go-ahead for some of Canada’s 2,000,000 gallons to make their way over here, they weren’t officially legal until that night. Detroit residents were now allowed to bring Ontario products over starting Monday the 18th, and provisions were made to set up state-controlled bottle sales. One reason for the delay in shipment allowances until Monday was Michigan’s decision to ban all alcohol sales on Sundays. As with many of the other rules laid out in 1933, this would prove a stubborn one to retract (see also: wine must be less than 16% ABV, which has caused problems for Detroit’s meaderies as recently as last year). There were a few other strictures imposed on purveyors of spirits. If you’ve ever wondered why it can be so difficult to get a particular brand at your favorite bar or party store, look no further than the legislature’s decision to make Michigan a Control State. It gets a bit complicated, but it boils down to the fact that the state liquor control commission (happy anniversary to every bar manager’s favorite bureaucracy!) has the final say on where, how, when and for how much each drop of spirits can be sold. In addition to the “No Liquor on Sundays” rule, the sale of alcohol was also prohibited on holidays and election day. Counties and cities could decide if they wanted to stay dry. Quite a few did. Oak Park just lifted the ban last spring. Taverns–that is, bars that did not sell food–could sell beer only. No hard spirits. This proved a tough one to enforce and was quickly discarded. 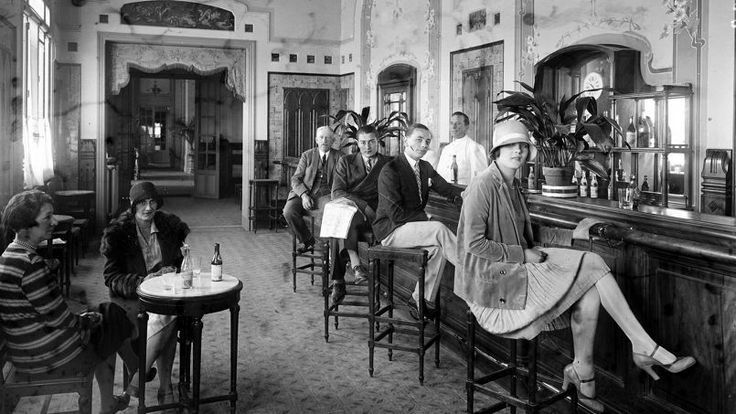 Restaurants and hotels were permitted to sell beer, wine and spirits by the glass. Bar stools were right out. Guests could only be served alcohol if they were seated at tables. Considering that bar stools themselves were a fairly new invention and, as I argue in this link, had a lot to do with women’s liberation, this was an odd and discouraging moment in Michigan law. Speaking of women and the MLCC laws, did you know that it was illegal for women to waitress or tend bar in a Michigan bar until shockingly late? This rule deserves its own post, but unless she was directly related to the bar owner, a woman was prohibited from serving alcohol for fear of “morally corrupting influences”. Until flipping 1976! Just look at all the immoral behavior exhibited here. Shocking! 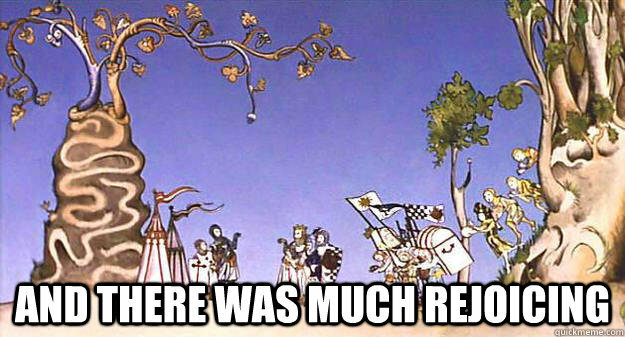 So, whether because it took so long for the state to get around to sorting out the rules, or because we’d been drinking beer for a while, or because everyone had their fair share of easily-smuggled booze already (and thus had no need for public consumption of a now-pricy commodity), Repeal Day was a nonevent. That doesn’t mean, of course, that we’re not going to celebrate the heck out of it on Monday December 5th. We’re also doing so tonight. And maybe we should add in December 16th as well. Or how about April 10, when Michigan voted for Repeal? Or May 10, when beer became legal again? And what about…you get the picture. 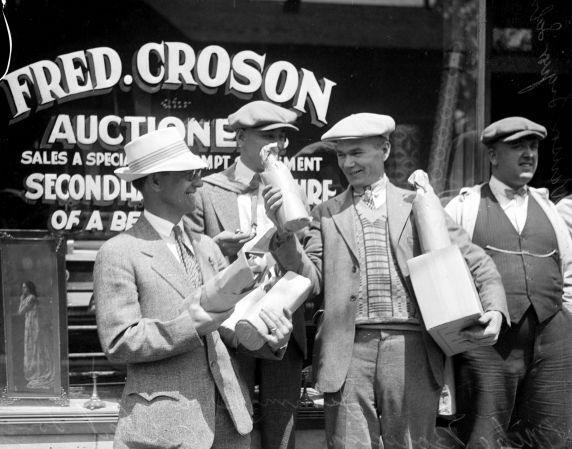 Happy Repeal Day to you all, whenever and however you decide to celebrate it!